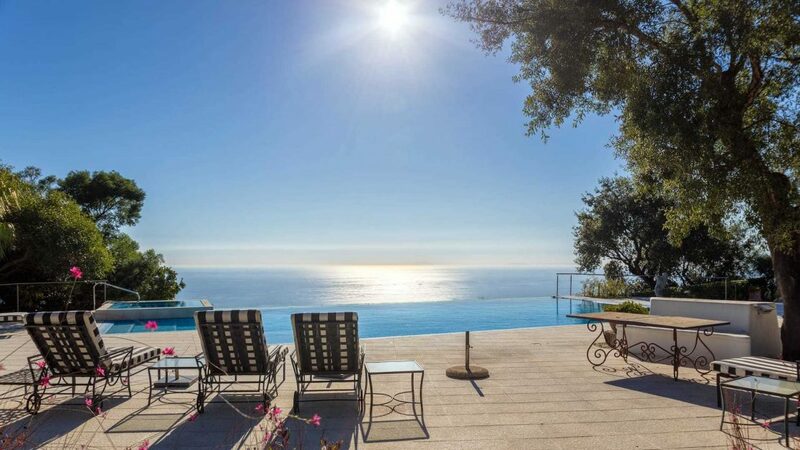 Set on a large plot of 4000 m2 this unique and beautiful villa for sale is located with a length of 120m frontline beach in Las Chapas, El Rosario, one of the nicest beaches east of Marbella in one of the most sought after residential areas. The center of Marbella can be reached in just 10 minutes by car. The villa offers a large open entrance hall leading directly into the spacious living room with open fireplace and dining area with open kitchen. The terrace offers unobstructed views over the garden to the Mediterranean, Gibraltar and Africa. Two bedroom suites with direct access to the garden and a separate staff area are located on the ground floor. The upper floor comprises 4 further bedroom suites with the master bedroom enjoying a large private terrace. The beautifully manicured, extensive park-like gardens offer plenty of privacy, as the property benefits from an elevated position overlooking the beach. The pool area offers a pool house with a fully equipped bar, BBQ and a separate Jacuzzi, as well as a private putting green designed by golf pro Manuel Jimenez (brother of golf champion Miguel Angel Jimenez). Other features: air conditioning h/c throughout, double glazing, Gaggenau kitchen, video controlled alarm system, B & O equipment, direct access to the beach, possibility to build a garage for several cars, well with water tank, swimming pool with jet stream, central heating, garage, separate parking spaces. Reduced from 9.900.000 € to 8.900.000 €! 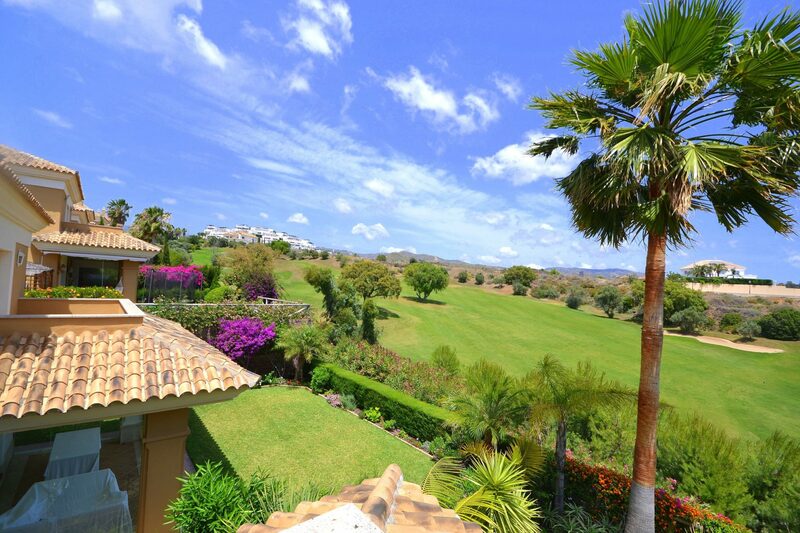 Please, send me more information about ref W-023Y6O, Villa in Hacienda las Chapas, Marbella East or similar properties.